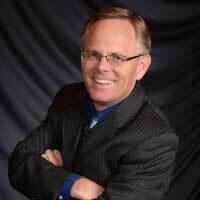 Steve Ballew is our senior pastor. Steve began his tenure at Emmanuel in March 2011. Pre Save & Exit viously Pastor Steve served three churches in Arizona for the previous 22+ years. Steve is a native of New Mexico; growing up in Clovis. He attended New Mexico State University in Las Cruces where he met and married his wife, Cheryl, in 1983. They have one son, Joel. Steve received a Bachelor of Accountancy from NMSU in 1984 and a Master of Divinity from Southwestern Baptist Theological Seminary in Fort Worth, TX in 1988. Pastor Steve is excited about ministering with the Emmanuel family to see this church community become increasing engaged in leading all peoples to be passionate followers of Jesus Christ.